A staple for all training grounds, these Gorilla Training speed ladders are designed to improve movement, balance and acceleration. 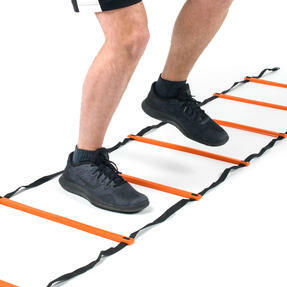 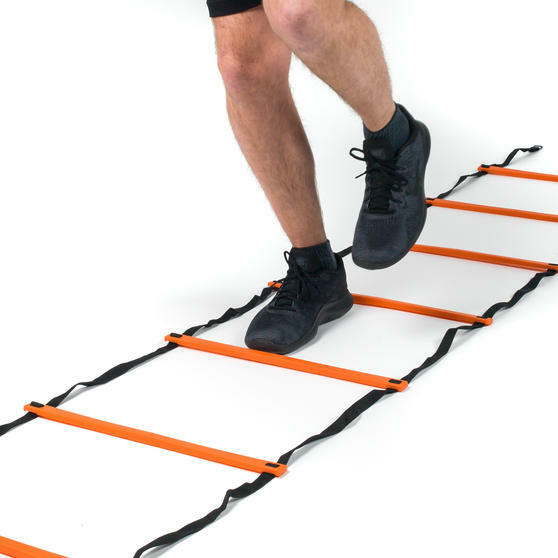 Measured in 45cm intervals the ladders can be used for a variety of footwork drills including jumping jack feet, cross overs and single foot hops. 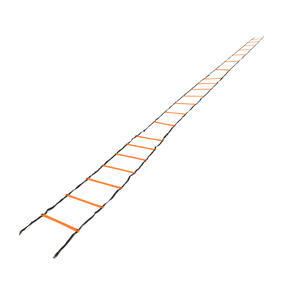 Featuring clips for creating longer obstacle courses, the speed ladders are also made with highly visible anti-slip plastic rungs to enjoy safe but challenging training sessions. 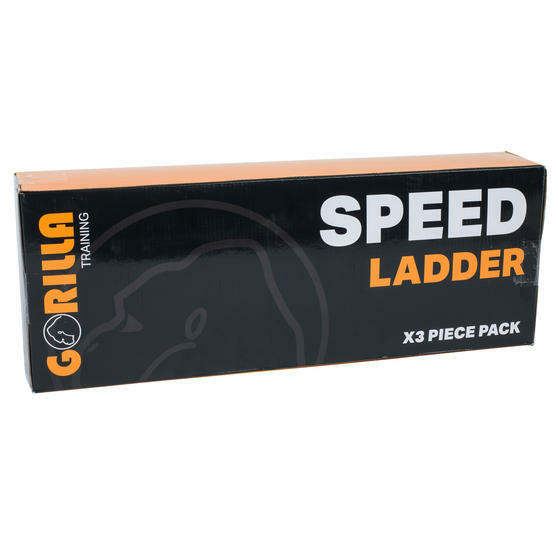 These Gorilla Training Speed Ladders can be used for indoor or outdoor training, perfect to set up on grass, AstroTurf or hard courts. 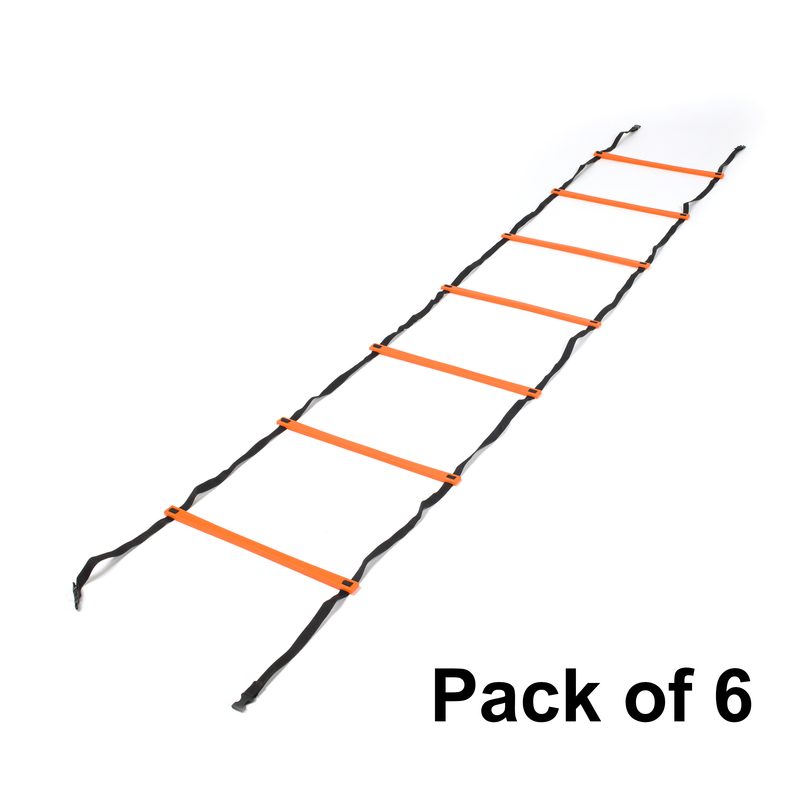 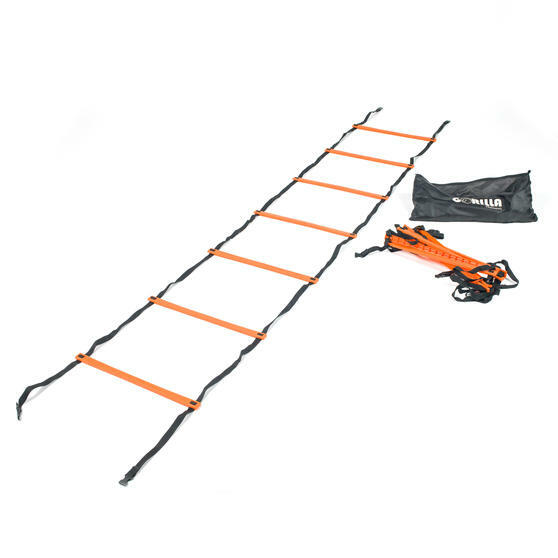 This fitness and agility training kit includes six 3m ladders that can fix together to use in circuit training or team exercises. 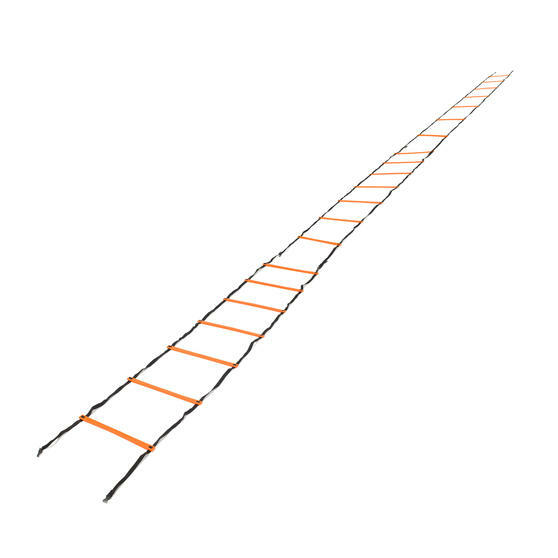 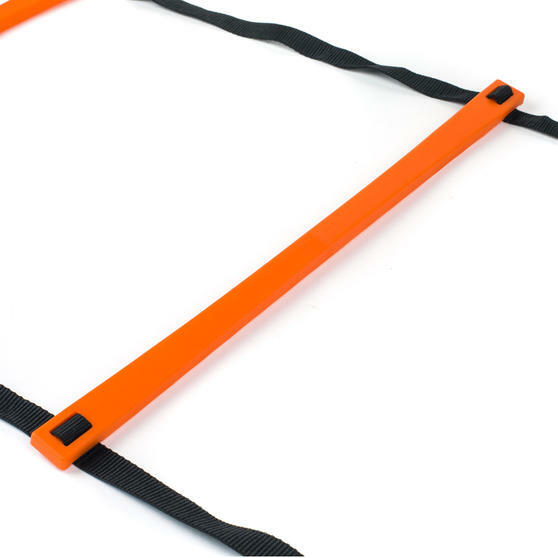 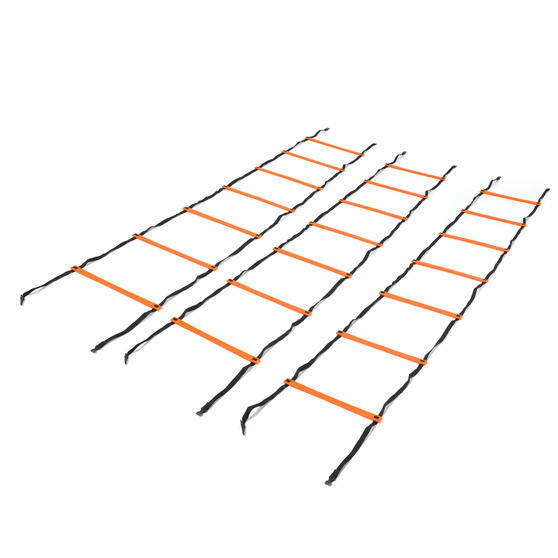 The plastic rungs are spaced at 45cm intervals, while the flat profile of the bright orange rungs greatly decreases the risk of slipping. For football, rugby and more, use these speed ladders for a range of intense footwork drills, from side shuffles to jumping jack feet. 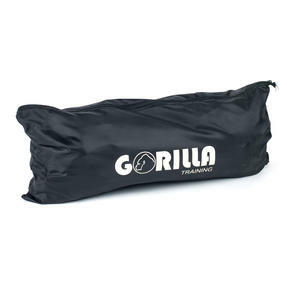 Challenge foot speed, agility, balance and fitness, then simply fold away into the drawstring bag for easy carrying and storage.